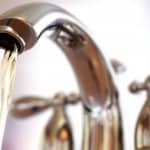 Whether or not you live in an area of the country that is currently experiencing a water shortage or drought, adopting daily habits that save water can also help reduce your water bill and save you money. 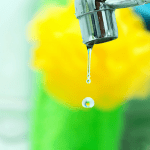 Here’s our list of ways to change many daily habits that help conserve water. Since most homes use the most water in the bathroom, we’ll start there. You can also save water in the kitchen, laundry room, and outside as well. Turn off water while shaving or brushing teeth. Fill a cup with water to use for rinsing, rather than letting the tap run. Do not use the toilet as a wastebasket to flush facial tissues; dispose of tissues in a wastebasket destined for the garbage can (no, you shouldn’t compost used tissues). Also, municipal systems can be clogged by too much tissue disposal. Save water while flushing toilets. Install low-flush toilets (1.6 gallon per flush) or a dual-flush toilet. If you have a conventional toilet (over 3 gallons per flush), fill a half-gallon (or two 1-liter) plastic bottle with a few rocks for weight and then water, or buy a toilet dam. Place in the toilet tank to displace some water, saving water with each flush. Do not shower or bathe every day. Daily bathing is a relatively modern habit. Cleansing skin and hair too often also strips natural oils and beneficial microflora. Shower or bathe once or twice a week. In-between, many people use a personal hygiene cloth and dry shampoo. Shower instead of take a bath. Showering uses less water than the average bath. If you must bathe, fill the tub only 1/3 to 1/2 full. Install shower heads with a reduced flow head and a single shutoff valve that can easily be turned off and on mid-shower. Organize your supplies before you turn on the shower. Be sure you have everything you need: soap, shampoo, conditioner, a wash cloth, back brush, shaver, and shaving cream, etc. Use a timer to help you limit showers to five or ten minutes. If you are shampooing long, thick hair or shaving, you usually need up to 10 minutes. Otherwise, you should be able to shower in 5 minutes or less. Use the “Navy Shower” technique where you turn the water on only for rinsing and keep it off while off while washing. Here’s the basic process: turn on the water to get yourself completely wet. Then turn off the water while you soap up, shampoo, and scrub down. Turn the water on again to rinse off. Repeat the process as needed to condition your hair or shave. Using this technique, one person can shower in about two minutes and reduce water consumption during showering by up to 95%. Adopt this technique for most showers, but treat yourself to a longer hot shower on the weekend. 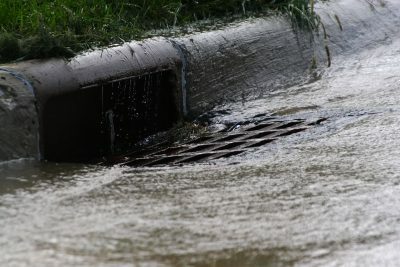 Avoid letting water go down the drain. Catch shower water in a bucket and use it to flush the toilet (pour it into the bowl, not the tank), or to water landscape plants and trees (but not the vegetable garden or potted plants). Run your dishwasher efficiently. Run dishwasher only when it’ full, or choose the correct cycle for your load. Don’t pre-rinse dishes. When buying your next dishwasher, buy an energy efficient model. Reduce wait time for hot water or plan to use the cold water. Consider adding an instant water tap or heating cold water on a gas range, instead of running the tap until you get hot water. If you run the tap while waiting for hot water, catch it in a pitcher, put it in the refrigerator, and use it for drinking or cooking. 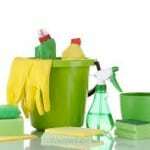 If washing dishes by hand, scrap instead of pre-rinsing and use basins for washing. Scrape dishes of all food before washing by using a rubber scraper or damp towel. Use a sink stopper or basin, one for soapy water and one for rinse water. Wash dishes in this order: glassware, utensils, plates and bowls, pots and pans. If needed, soak pots and pans using the wash water. Then scrub clean and rinse. Save the basin water to flush the toilet (pour it into the bowl, not the tank), or to water landscape plants and trees (but not the vegetable garden or potted plants). Use the garbage disposal sparingly (or not at all). Instead, compost produce scraps and other compostable materials and use for garden mulch. Defrost frozen foods in the refrigerator overnight instead of in cold water. A kitchen faucet uses 2.5 to 5 gallons per minute, a bathroom faucet about 0.5 to 1.5 gallons per minute. Reuse cooking water from boiling pasta or steaming vegetables to make soup or stew. Be sure to refrigerate it until you are ready to use it, and freeze it if you will not reuse the water within 3 days. Avoid letting water go down the drain. Put water in a basin when rinsing produce. After washing produce, use it to water potted plants or the vegetable garden, or strain and add biodegradable soap to use for cleaning. Use cleaning water to flush the toilet (pour it into the bowl, not the tank), or to water landscape plants and trees (but not the vegetable garden or potted plants). Run full loads of laundry, rather than small ones, or at least choose a cycle that matches your load. Maximum capacity loads use water most efficiently. Wear clothes two or more times before washing. Wear a previously worn shirt under a coat or jacket. If you need to freshen clothes, use one of the following methods: To remove odors, turn clothing inside out, spray with a solution of 1 part white vinegar and 1 part water, and then hang the clothing to dry, preferably outdoors, or in a room with an open window. To mask odors or remove wrinkles, tumble clothes in the dryer with a few dryer sheets. Re-use the dryer sheets as long as they are effective. Sweep or blow walkways and driveways, rather than hosing down or using a pressure washer. Collect rainwater and gutter water for use in watering the garden and washing the car. Do not water lawns or wash cars during a drought. When water is scarce, stick to drinking, cooking, sanitation uses only, not “luxury” uses of water, including lawns and autos. When you wash your car use a bucket of water with a one squirt of biodegradable soap, lather it up, and then rinse quickly in a couple of minutes using a hose in a location that drains to a landscape area, rather than sending it down the sewer. However, your best bet (if you want to save water) is to take your car to a self-serve wash. If you choose an automatic car wash, find one that recycles their water. If you live in a drought area, avoid washing your car at all. 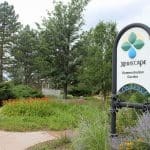 Consider xeriscaping, landscaping that helps conserve water by planting a drought-tolerant, water-efficient home garden for your particular climate. Use native plants, and especially try to reduce or eliminate lawn areas, which require large volumes of water to maintain. Enrich and mulch garden soil. Enrich garden soil with organic matter to help retain water. Cover planting areas heavily (6 inches or more) with mulch or use landscape fabric to reduce evaporation and conserve water. Water the garden, but not other structures. Be sure to position sprinklers so that they water only plants or lawn and not driveways, sidewalks, roofs, and other structures. Water gardens early or late in the day, and only if it’s not windy. Water gardens in the morning to reduce losses to evaporation. Early evening is your next best choice. Never water during the middle of the day or when it’s windy, when more water goes into the air instead of on the vegetation. Water garden areas only as needed. Water established plants only if they start to droop, water lawns once a week (or not at all during a drought), and water vegetable gardens only as needed to keep crops growing and healthy. Water deeply (until 1 inch of soil is moist) and then wait until the soil dries out before watering again. Buy appliances with the Watersense® label when you need to replace any appliance that uses water, including the hot water tank, toilet, dishwasher, and clothes washer. Reduce wait time for hot water. Consider adding a recirculating pump to the main bathroom to reduce wasted cold water while you wait for the hot water to make it to the spout. If you must run cold water while waiting for hot, collect potable water from the kitchen tap to use for drinking water, to fill ice cube trays, or to fill the pet dish. Collect shower water to use for cleaning or to water landscape plants. Never run water without filling a container. Do not let faucets run for washing or rinsing (whether you are washing produce, brushing your teeth, showering, or any other activity). Fill a container with water or use the sink stopper. Read the other sections for suggestions on using every drop of water that comes out of your faucets. Check for small water leaks. There are two places to check for leaks. Read your water meter, and then read it two hours later when no water has been used in the house—before and after leaving the house to run errands or see a movie is a good time. If the meter reading changes at all, you have a leak, such as a dripping faucet, leaky pipe couplings or hose bibs, or leaking toilet. So check all water resources, including those that are outside, and make any necessary repairs to fix the leaks. To check toilets that may be silently leaking, place a few drops of food coloring in the toilet tank, wait 30-120 minutes (without flushing), and then check the toilet bowl. If colored water appears in the toilet bowl, the toilet is leaking and the flushing mechanism should be replaced. For more help fixing leaks, read these detailed instructions for finding and fixing water leaks throughout the house. So that’s 33 ways to save water around the house and garden. Once you get started with water conservation, you and your family may make a game out of it to see just how low you can go. 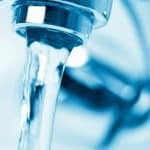 Even if you adopt only one of these methods for every room or task, you can expect to significantly save water and reduce your water bill.